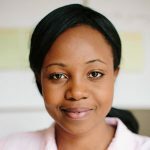 Ruth Cherono Sego is a Program Associate in the International Engagement and Non-CO2 portfolios where she brings over four years of experience in global environmental policy and multi-lateral environmental engagement. At ClimateWorks, Ms. Sego co-ordinates the Non-CO2 Initiative’s campaign to reduce global greenhouse gas emissions and Black Carbon from maritime transportation and shipping and helps to co-ordinate strategic climate policy initiatives for the International Engagement portfolio. She also provides technical assessments for grant-making in both portfolios. Ms. Sego was previously based at the global headquarters of the United Nations Environment Programme (UNEP) in Nairobi where her work focused on strategic communications and global environmental policy. Ms. Sego holds a Master’s in Environmental Management from Yale University’s School of Forestry and Environmental Studies with a concentration in Energy and Climate.